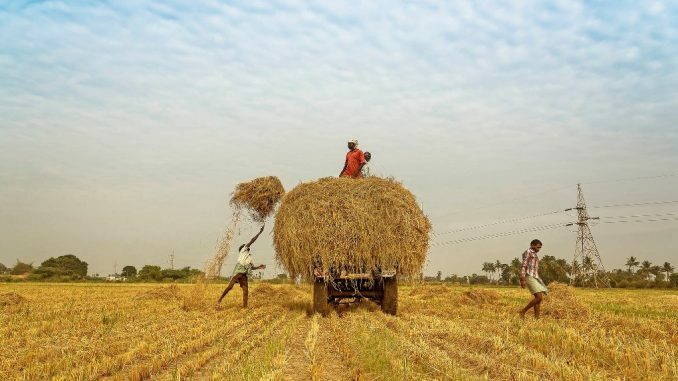 The effects of climate change on India’s agriculture, which employs half the population and accounts for 17% of the country’s economic output, are no longer about distant projections. The latest research, cited by the ICAR study, shows the impact of climate change will be increasingly felt , as demonstrated by extreme weather events. New Delhi: Crops, plantations, even livestock in 151 districts, or slightly more than one-fifth of the total districts in India, are susceptible to the impact of climate change, according to an annual review by the Indian Council of Agricultural Research (ICAR), a wing of the agriculture ministry. The state’s Action Plan for Climate Change too flags these changes, said Lamtinhoi. These changes are capable of stoking social conflicts. Lamtinhoi’s research shows that crop-shriveling pests have led Maltos to move into areas dominated by Santhal tribes downhill, leading to clashes. Apple belts in Himachal Pradesh have been moving to higher altitudes for want of sufficient cold weather, according to the ICAR. Crop-damaging spring hailstorms in central India and a sudden temperature spike in Punjab in 2010 , which cut wheat yields by 26% that year, according to the Ludhiana-based Borlaug Institute, are other instances. The ICAR has identified that of the 28 million hectares under wheat, about 9 million hectares are categorised as being prone to sudden heat stress. “These are the evidence of changing of weather patterns in India,” said Pramod Aggarwal, one of India’s top climate scientists and a former national professor at the Indian Agricultural Research Institute (IARI). Agriculture minister Radha Mohan Singh chaired a meeting on November 1 to review preparedness against extreme weather events. Although there are several ongoing mitigation programmes, including the flagship National Innovations on Climate Resilient Agriculture, these are scattered. Singh has asked ICAR to prepare a new scheme that integrates all existing ones. At the meeting, he proposed tentatively calling it the “Integrated Climate Resilient Agriculture Programme”. “A lot of people debate climate change. Even if we don’t use these two words, there is sufficient evidence on the impact of changes in rainfall and temperature in India,” Aggarwal said. He said proven adaptation technologies are now available, but what is needed is political will. Aggarwal was the coordinating lead author for the chapter on food in the fourth assessment report of the Intergovernmental Panel on Climate Change (IPCC). He was also the review editor of the IPCC’s landmark fifth assessment report. In each of the 151 climatically vulnerable districts, one representative village is now being chosen where “location-specific technologies” will be deployed. The technologies for demonstration have been selected based on the nature of vulnerability faced by the district and its main farming system. The ICAR’s climate review offers many granular findings. It states that mustard farmers in Gujarat’s Anand district should now be advised to shrink their sowing window to October 10-20 from October-November to avoid attacks by aphids, whose frequency has increased. The review blames changes in weather patterns for the attacks, including wind speeds of more than 2 km per hour and mean temperature of 19 to 25.5 degrees Celsius. The review also states that in “10 mango-growing locations” of India, “incidence of fruit flies may increase due to projected increase in temperatures in future climate change periods”. The National Economic Survey 2018 analysed weather patterns over the past six decades, and found a long-term trend of “rising temperatures” and “declining average precipitation”. Using data sets created by the University of Delaware and India Meteorological Department, the review projected that climate change could reduce annual agricultural incomes in India in the range of 15-18% on average and up to 20-25% in unirrigated areas. About 54% of India’s sown area has no access to irrigation. The survey called for “drastically extending irrigation” and replacing “untargeted subsidies in power and fertilizer” with cash transfers.